There’s a basic, common need that all people have, to stay comfortable and secure in their own homes. The problem is, it’s getting harder to properly secure a home. With the rising popularity of smart homes, the threat of burglary, fire or flood, and a hundred other ways that a home can be violated, people are turning to more sophisticated home security systems to get the highest levels of protection. DIY home security systems may save a few bucks, but in many cases, with the complex security needs of the modern home, it’s not going to be enough. That’s when it comes time to turn to a professional security systems provider to deliver the right mix of technology, functionality, and service. And that’s why so many turn to ADT. 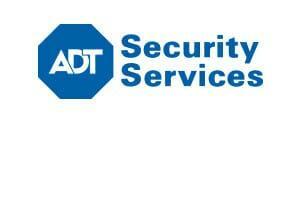 ADT is one of the most popular and respected home security companies on the market. No wonder, the company has been around for 150 years. The combination of high-quality home security products, excellent service, reliable 24/7 monitoring, and advanced smart home app more than makes up for the above average price tag. ADT home security offers a range of four packages that can then be customized according to your home set-up and specific needs. Often, pricing is not transparent, and you’ll need to consult with an ADT representative to pinpoint exact costs. As ADT’s services are personalized to the needs of the customer, this is understandable, however, the lack of outright clarity in pricing is nevertheless frustrating. Comprehensive home alarm and detection system . ADT’s home alarm system covers much more than theft and burglary. Fire, smoke, flood, and carbon monoxide detectors and alarms provide extra layers of safety for your property and loved ones. Cellphone backing. Most ADT packages come with Cellguard®, cellular backing for your ADT home system monitoring, which means there’s no need to rely on a landline to keep in contact with ADT surveillance centers. Customizable alerts and automation. Via ADT’s Pulse® app, users can customize the functionality of their system, defining notifications, alerts, and automation of household devices according to their needs and schedule. The app is intuitive and easy to use. Video surveillance. ADT’s advanced video package offers video surveillance of your home, and maintains digital recordings of the footage, accessible to you via your customer portal. Your video footage is kept private and protected by ADT’s strict IT security protocols. Personalized solution – free in-home consultation. A key advantage of ADT home security systems is the personalized setup procedure. As a non-DIY system, ADT requires that a service rep come to your home, conduct an overview of your home, and configure a customized system to meet your needs. Although it obviously comes at an extra cost, this personalized service will result in a more fine-tuned home security system. 24/7 monitoring & support. Home monitoring and customer support are available 24/7, making ADT a superior choice for comprehensive home security and peace of mind. Manned monitoring centers are always open to provide real-time service in response to a security event. Purchase of an ADT home security system comes with a range of equipment. The equipment you need to purchase will depend on the type of package you choose. Security cameras: Wireless, hi-res and low lighting, and video activated cameras are all available. Option to upgrade to a digital recording of video surveillance which is stored in your customer web portal for 30 days, and can be downloaded to save on your personal computer. Window alarms: Electronic monitoring of windows gives an extra protection layer against burglary and can be armed/disarmed via the remote app. Door alarms: Electronic monitoring of internal and external doors can maximize protection from unwanted intruders and help keep parents on top of their kids’ movements. ADT keypad: Digital keypad is the centralized point of control for the entire ADT home security system. Smoke detectors/fire alarms: Installation and monitoring of smoke detectors provide excellent fire protection for the home and family. Flood sensors/carbon monoxide detectors: First line of defense in protecting from dangerous and damaging events. Signs & stickers: ADT yard signs and window decals help notify outsiders that your home is monitored and protected, acting as a deterrent for wannabe intruders. Key fob: Wireless key fob that you can use to arm and disarm your home security alarms and system remotely. All ADT packages come with a standard set of basic equipment, including wireless control panel, 2 wireless door/window sensors, 1 wireless motion detector (pet-friendly), window decals and yard signs. ADT gets full marks for installation service. The company really does the utmost to provide fast, sometimes even same day, consultations. Once you’ve made a decision to purchase any of their home security products, the installation occurs within days, and in many cases can even be scheduled for the following day. The installation process typically takes up to 8 hours, so ADT customers are up and running with a sophisticated home security system pretty quickly. The 6-month money back guarantee is also a bonus, way more generous than the standard 30 days offered by most comparable companies. ADT’s Quality Service Plan Warranty is an extended warranty that covers your equipment in the event of accident or malfunction, and it entails an extra fee. When it comes to everyday maintenance of the system, ADT’s online help center and telephone support make it easy enough to manage standard tasks. For more complex troubleshooting or service calls, ADT’s stellar customer service is evident here too, with good response time and attentive service. Is there a Home Security App? ADT Pulse® is an interactive home security app that lets you monitor and control your ADT home alarm and security system from anywhere. Available for Android and iOS, Pulse offers real-time notifications and alerts about the status of the security system, with lock/ unlock function for smart doors and garages, arm/ disarm function for alarm systems, a live feed so you can monitor your home and pets from afar, as well as a remote control function for your smart home devices, enabling you to connect to your home and control devices such as thermostats, lighting, automation systems and cameras remotely. The app is customizable so you can have a comfortable, personalized experience. It also supports Z-Wave, Amazon Alexa, and Kwikset, so you can get the precise control you want. ADT Pulse® is a solid app that gives a valuable, extra layer of functionality to an already-sophisticated home security system. When it comes to home security systems, you’d be hard-pressed to find a more robust, high-performing and comprehensive system than ADT. The company clearly excels in its 24/7 customer support, responsive service by all staff, from the sales reps, to installation and service professionals, and the very broad range of security equipment and features, topped off, of course, by the solidly rated ADT Pulse® home security and automation app that gives you full control remotely. Having said that, ADT is one of the more expensive options, certainly more pricey than the DIY alternatives on the market. That’s not to say the price is unjustified. If you’re looking for a home security setup for the next three years, and you’re certain you won’t be needing to cancel in that time (which comes with steep fees), then ADT is definitely value for money. But the pricier range might make it more suited to serious homeowners who are willing to invest the extra cash needed to buy the extra security – and extra peace of mind.